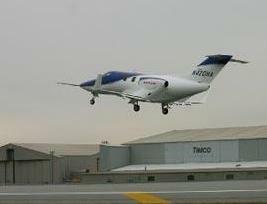 In December 2003, Honda officials announced that flight tests began on it’s new aircraft, preliminarily named HondaJet. 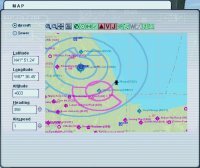 That’s right, I said jet! Business class jet to be specific. Think there is no room in the corporate jet market for another competitor? Think again. If you know anything at all about Honda then you know that when they set out to design and build a new product, they do it right. Honda is a world class company with a world class reputation for being the best. From lawnmowers to automobiles, Honda does it with class, and does it right the first time. Although debatable by the automobile enthusiasts of the country, the Honda Accord is still considered one of the best cars on the road for many years running. My Honda lawnmower has been abused by every tree stump in my back yard, and after all these years still starts on the first pull. But enough about my enthusiasm for the company, lets talk about the plane. Can Honda’s reputation alone help them to squeeze in beside Leer, Gulfstream, Bombardier, Embraer, and Cessna? Will Honda’s obvious preclusion for practicality help it to compete with the sheer luxury of a Gulfstream G550? Or the sheer speed of the Citation X? No bones about it, Honda is coming out with guns blazing. “Compared with conventional jets, this experimental aircraft offers superior fuel efficiency and remarkable cabin space. The engines are optimally positioned on the upper surface of the main wing in a unique configuration that reduces drag at high speeds and increases cruising efficiency. This layout also eliminates the need for structural engine mounts in the fuselage, creating over 30% more cabin space than in a conventional aircraft. The fuselage is a compact and lightweight co-cured carbon composite structure, yet realizes the largest cabin in its class. The main wing, which features aluminum skin panels formed from single sheets of aluminum that provide a smoother surface than conventional wing configurations, along with Honda’s proprietary turbulence-reducing laminar airfoil, work together to significantly improve aerodynamic performance. 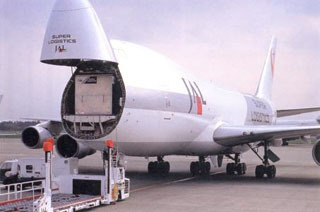 Additional drag-reducing technologies include the fuselage nose, which is designed to generate laminar flow. These features, in combination with Honda’s fuel-efficient HF118 Turbofan Engine, achieve fuel efficiency over 40% higher than conventional aircraft. This experimental aircraft is also fitted with a state-of-the-art glass cockpit with an integrated avionics system, as well as an autopilot function, anti-icing equipment, and other systems. The jet is scheduled to undergo approximately 200 hours of flight-testing to demonstrate and verify the operability and performance characteristics of its various systems. Copyright, 2003 Honda Motor Co., Ltd. All rights reserved. Let’s be fair, the aircraft is still experimental and must undergo many hours of flight testing before it is released as an official product. Not to mention that according to all the articles I read, there is no official release date. 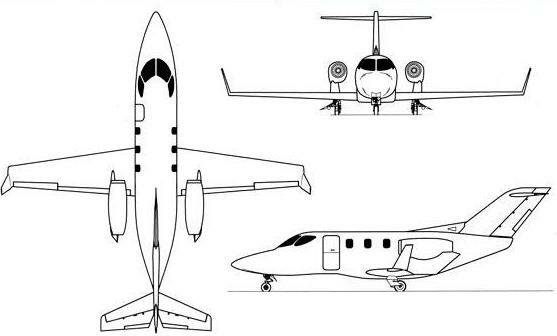 In my opinion, admittedly knowing very little about the corporate jet market save the stats on some of the more popular planes, I believe Honda will pull it off nicely. If history has taught us anything, it’s that there is always room for the innovative, and Honda is certainly innovative. If we are talking luxury, and we discount Boeing Corporate Jets, then Gulfstream is world class. For sheer speed, the Cessna Citation X at 600 knots is the winner. In the economy class, if there is such a thing, Honda may just give Embraer a run for it’s money with the new HF118 Turbofan Engine. No price tag is yet mentioned for the aircraft, or at least Honda is being quiet about it. I suspect that the price will follow Honda’s rule of thumb when it comes to pricing, “if you want the best then pay for the best”. Any model builder out there who will take on the challenge of creating one of these for the flight sim community?